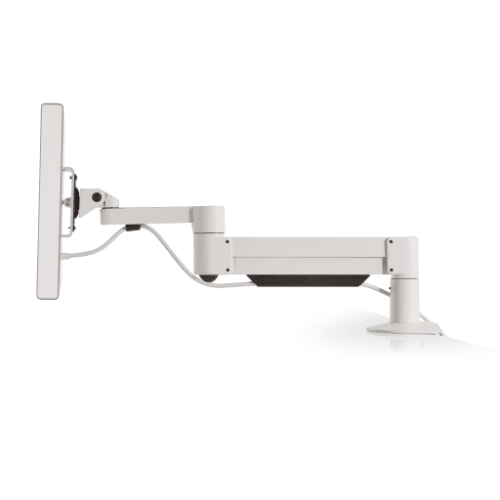 Ella, the next-generation monitor arm from Innovative, continues our commitment to making ergonomics beautiful. 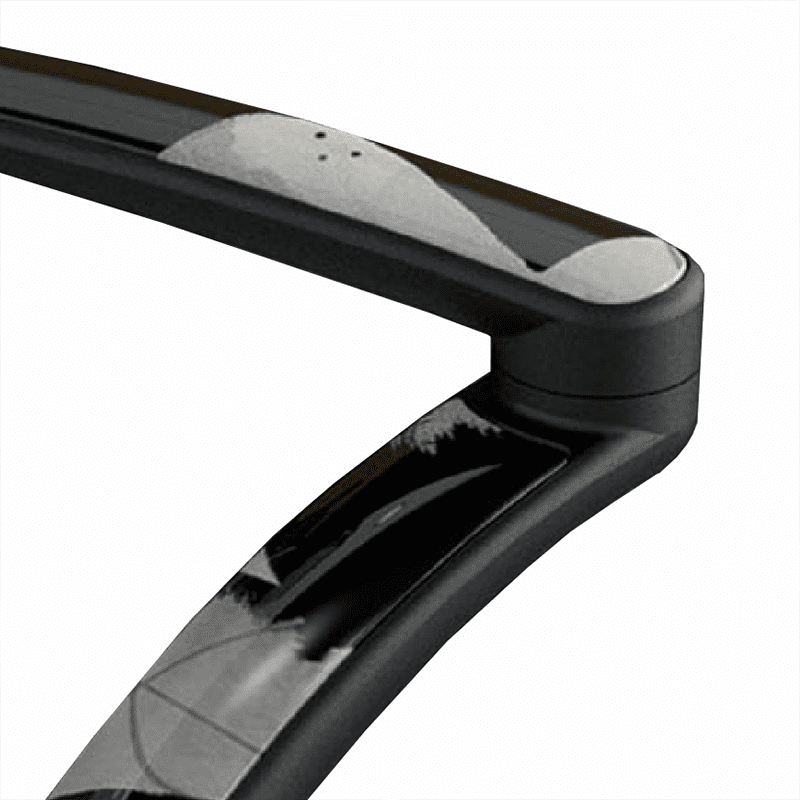 Offering effortless movement and sure-footed stability for monitors up to an astonishing 43" screen size, Ella’s groundbreaking design is only surpassed by its unparalleled performance. 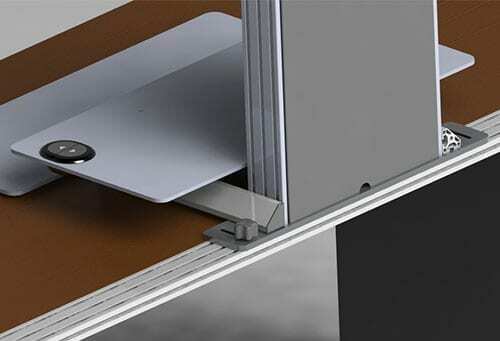 Integrated handle enables one handed adjustment of monitor height and position. 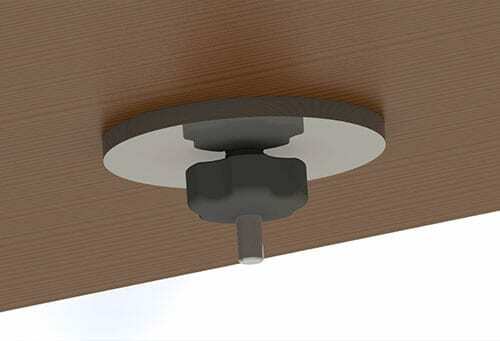 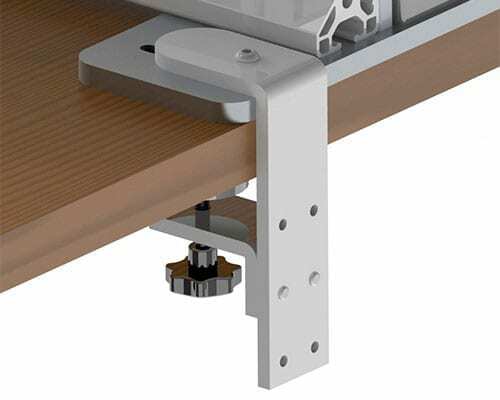 Mount installation is performed above desk for quick and easy set-up. 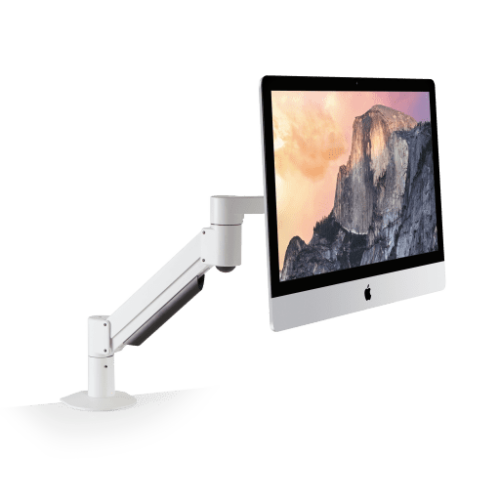 Built-in 180 degree rotation stop at the base of the arm prevents monitor arm from swinging into screens or walls. 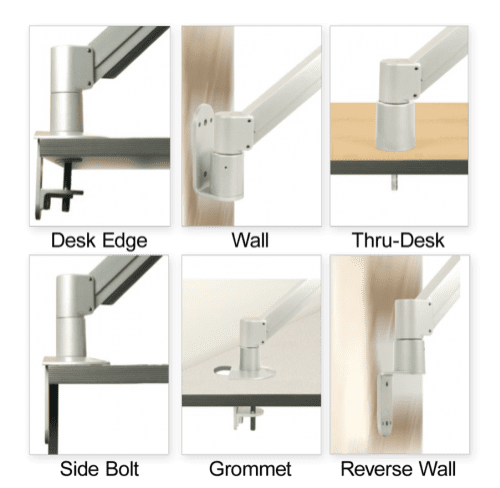 Optional customization options available to complement any workspace, contact your rep for details.